Sometimes you just need a print-and-go activity. You need something to take along to a waiting room or something quick to fill in a gap of time in the classroom. The solution: word searches. I love to work them as an adult and I know that kids love them two. I’ve got two Thanksgiving Word Searches for you to just print and go. They’re quick, easy, and fun! 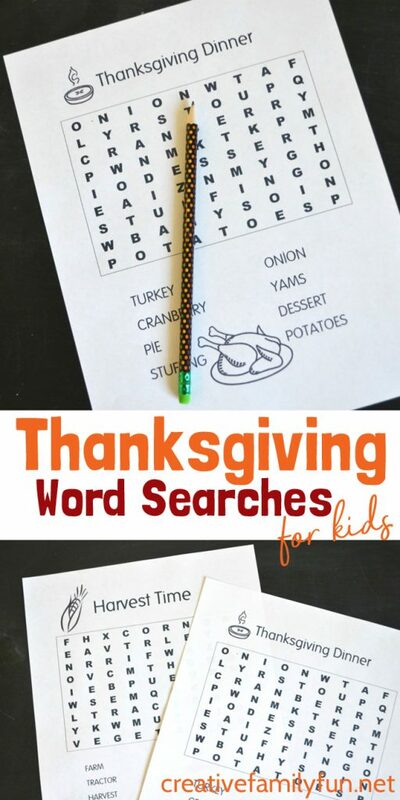 Each Thanksgiving word search would be perfect for keeping little hands busy at the kid’s table or as a fun after-school activity. I hope you enjoy sharing these fun Thanksgiving printables with your kids. 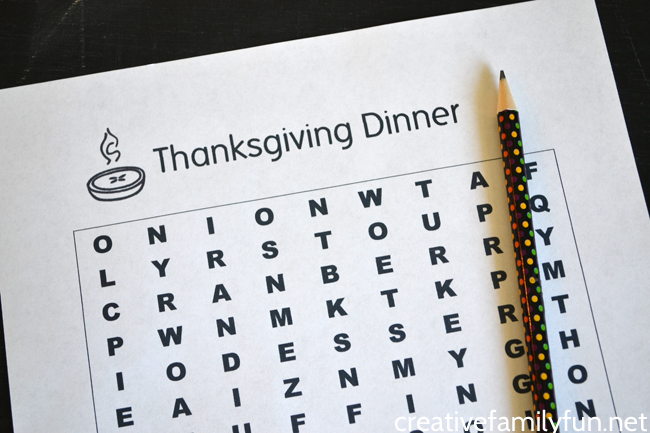 Print this word search off for the kids table at Thanksgiving. While the kids are waiting for their food, they can search for all the parts of yummy Thanksgiving dinner like turkey, cranberry, and pie. You can download the Thanksgiving Dinner Word Search here. 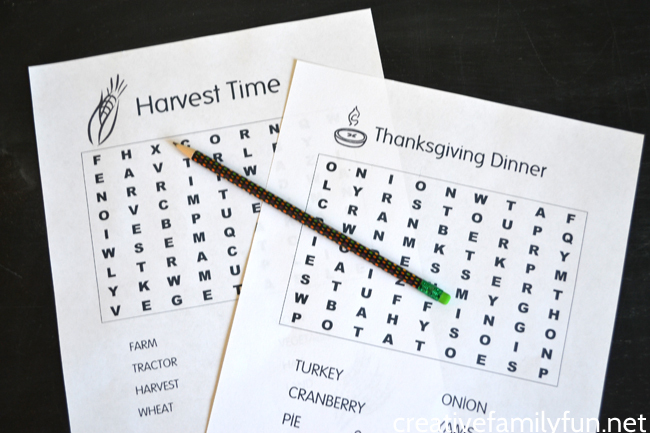 The Harvest Time Word Search isn’t necessarily for Thanksgiving, it’s perfect for anytime you want to have a little fall fun. Search for farm and harvest-themed words such as wheat, corn, and hay. 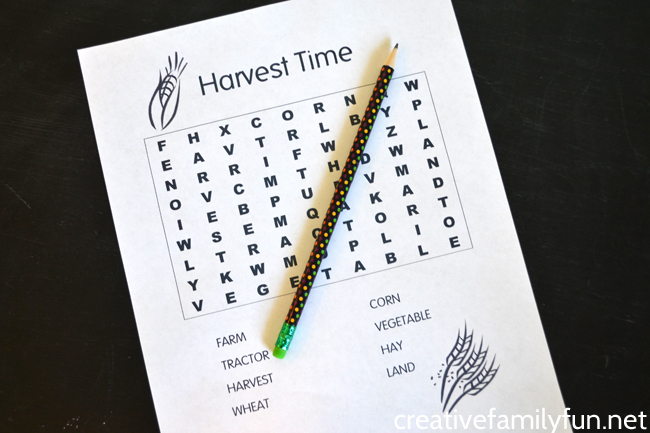 You can download the Harvest Time Word Search here. Tell me, who will you share these Thanksgiving word searches with? Do you want more Thanksgiving printable games? 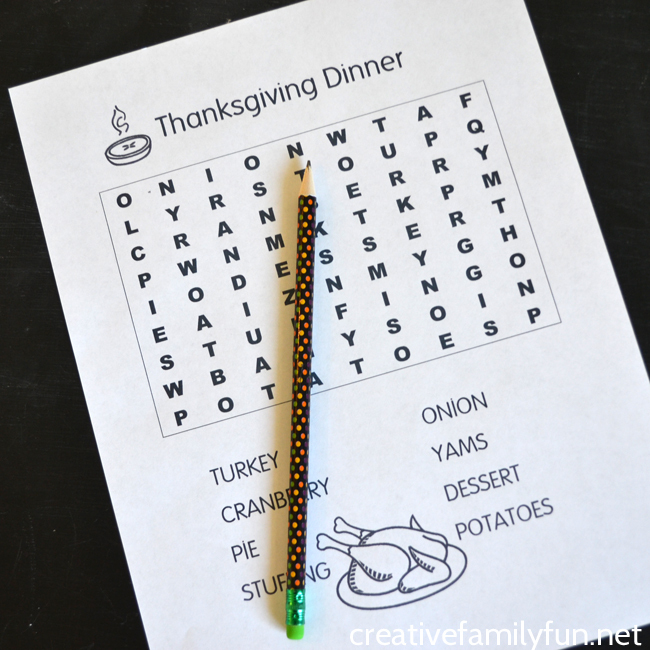 You can grab these Thanksgiving Word Searches as well as a word scramble and printable thankful leaves with this Thanksgiving activity pack. Click here to get the updated Thanksgiving activity pack. If you’re anything like me, I know you’re looking for fun family activities to do this Christmas. But, not just anything. I’m not looking for elaborate and I’m definitely not looking for something that would require a million trips to the craft store. 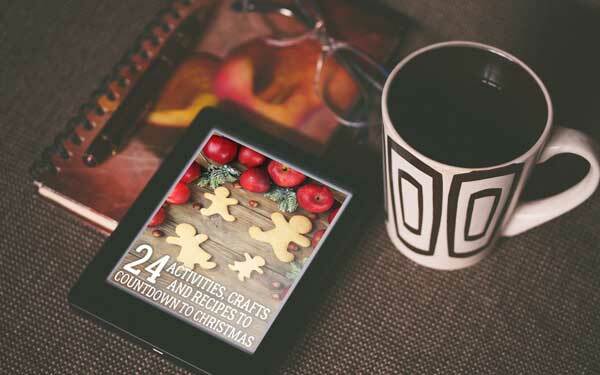 That’s why I just love Countdown to Christmas – 24 Activities, Crafts, and Recipes to Countdown to Christmas by Cerys Parker from Rainy Day Mum. The activities are simple (you won’t find anything elaborate) and definitely fun. They’re perfect for families. And, they’re perfect for the advent season. This fabulous resource for Christmas family fun can be purchased here. Take a peek, you’ll love it!